Exquisite 5 bedroom, 3.5 bath single level home on breathtaking hillside lot located in the gated community of Montana Vista. 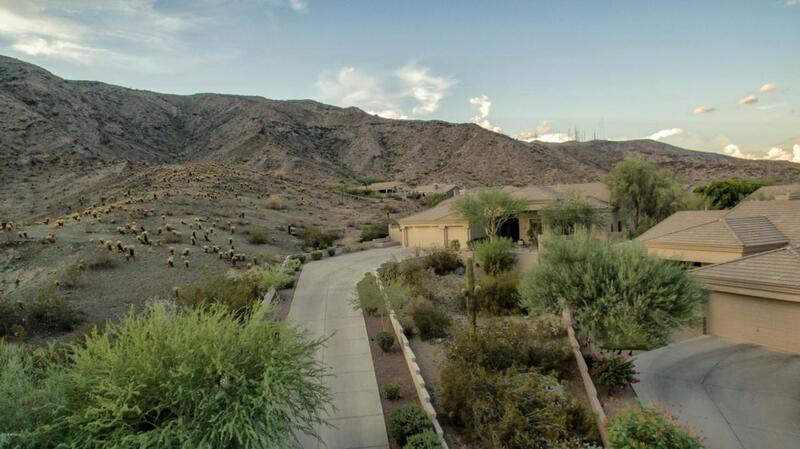 Completely nestled into the top of a cul-de-sac at South Mountain with lots of privacy and beautiful views. This home is a true retreat! As you enter up the driveway you are greeted by a lovely front sitting area to relax and enjoy amazing sunsets. 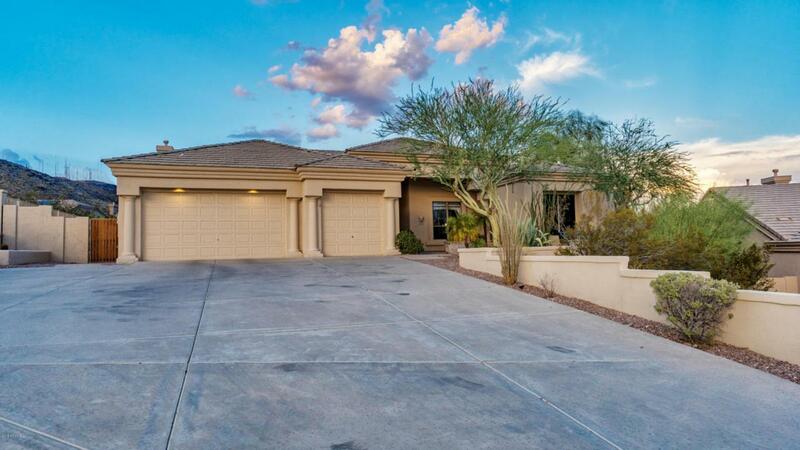 Elegant front entry opens to formal dining and living room with tray ceilings, wet bar and large picture windows with magnificent mountain views! Gourmet kitchen boasts newer upgraded cabinets, granite counters, stainless appliances, kitchen island, and breakfast room with patio access. Large open family room with fireplace and lots of windows. Spacious Master Bedroom suite with tranquil hillside views, sitting area andpatio access. Master bathroom with separate tub, walk in shower and large walk-in closet. Four secondary bedrooms, 2 with Jack and Jill bathroom. Totally secluded and peaceful backyard with covered patio, play pool, built in BBQ and stunning mountain views all perfect for unwinding or entertaining! Large inside laundry and oversized 3 car garage. 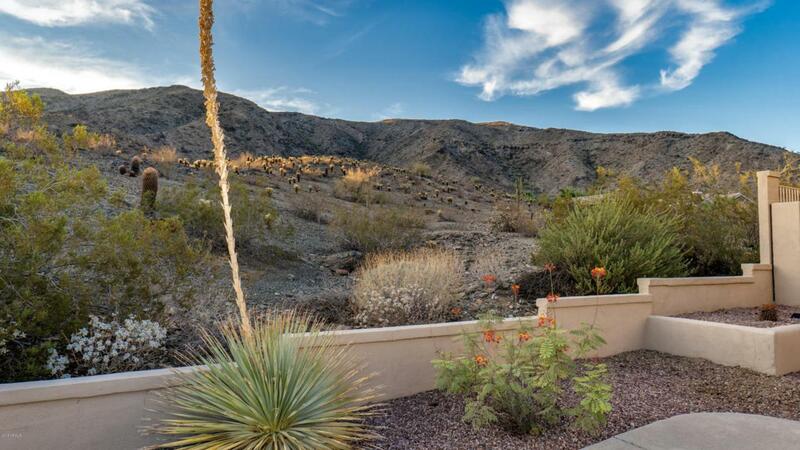 Just steps away from hiking trails! 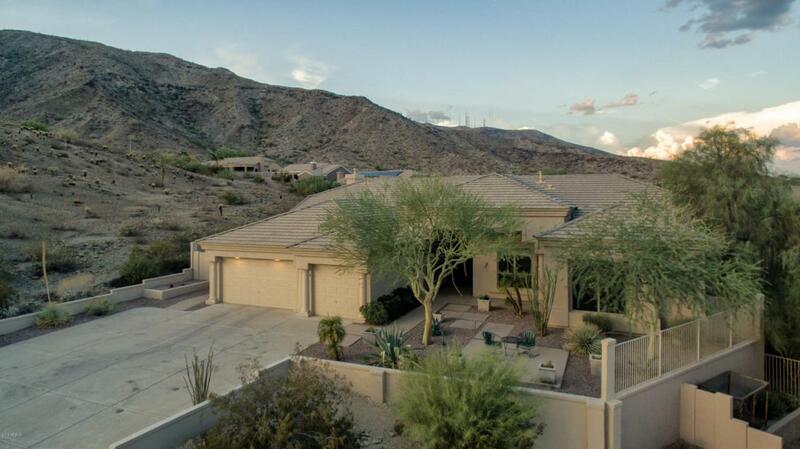 Great Ahwatukee location! Award winning Kyrene Schools! Listing courtesy of Keller Williams Realty Sonoran Living.